First He Invented The Phone. Then, Bell Left A Voice Message We finally know what the inventor of the telephone sounded like. 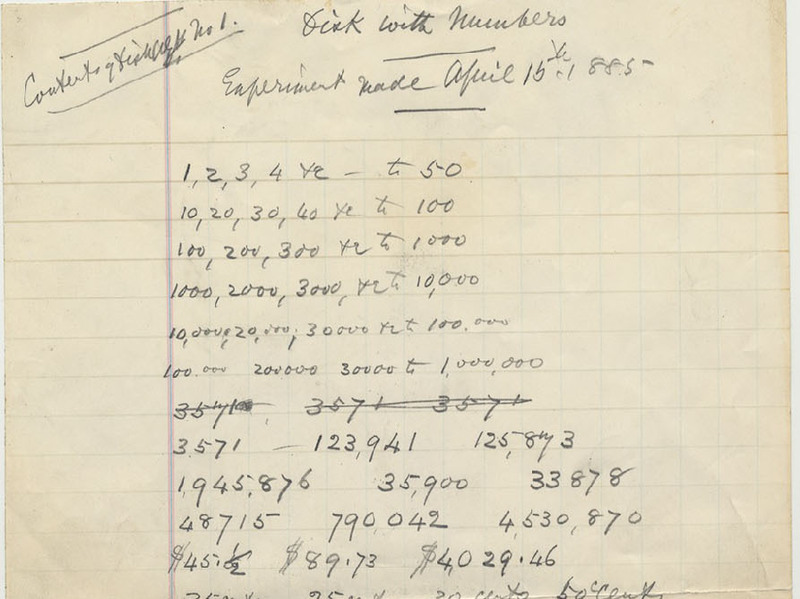 Last week, the Smithsonian unveiled recordings of Alexander Graham Bell's voice from 1885. It's the first known recording of him speaking. "Hear my voice. Alexander Graham Bell." A phonorecord by Alexander Graham Bell, one of the Smithsonian's trove of recordings left there by the inventor of the telephone. "Thirty cents. Fifty cents. Half a dollar. A quarter dollar. Three dollars and a half. Five dollars and a quarter. Seven dollars and twenty-nine cents"
Though the quality of the sound recordings is poor, we know what Alexander Graham Bell was saying because he left transcripts. The sound is scratchy. You have to strain to decipher it, but the words are clear. 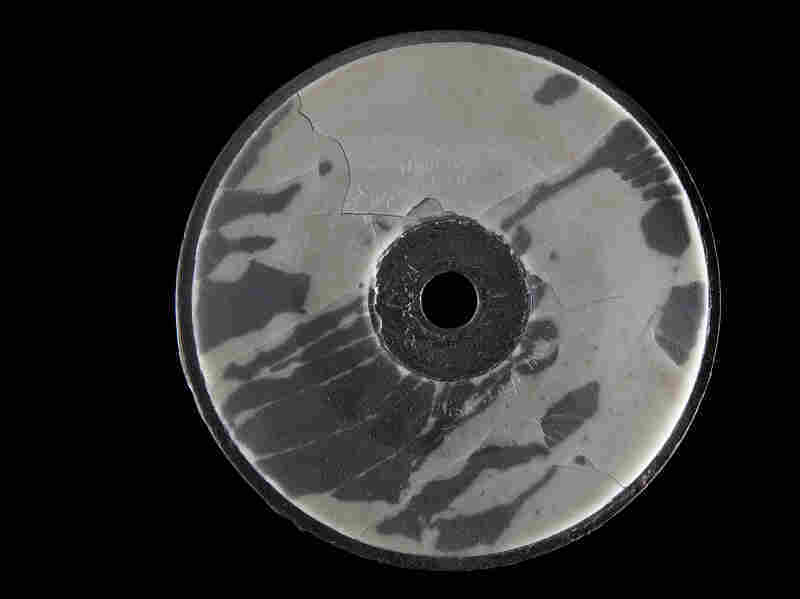 They're from Bell's lips, recorded in 1885 but unveiled just last week by the Smithsonian. "It lets us know what the past was really like. It fills in a gap for people," says Shari Stout, collections manager at the Smithsonian's National Museum of American History. Stout is part of the team that helped uncover Bell's voice. It reveals in part, that while Bell hailed from Scotland, he spent enough time in the United States that he doesn't have much of a Scottish accent. Bell also came from a family of elocutionists, and as Stout points out, he pronounces words correctly and distinctly. Bell made the recordings with his partners at the Volta Lab in Washington, D.C. They're among hundreds of experimental discs and cylinders Bell left with the Smithsonian, evidently to protect against a patent dispute. "They're all different materials," Stout says. "Sometimes they use plaster, sometimes tinfoil, things that look like cardboard — it's very bizarre." The recordings have sat collecting dust for more than a century. They were too delicate for experts to attempt to extract the sound — until now. "This is new technology that's been developed by our partners at the Lawrence Berkeley Lab; it's a non-invasive technology using lasers," Stout says. "They started out recovering commercial records. It turns out our curator read about it in The New York Times." Bell was a bit mundane in the words he chose to put down for posterity. You can hear him at one point counting in dollar denominations. Stout says they're not really sure why Bell was counting money, but they have an idea. "One of the speculations is that they may have been inventing this technology with the hope toward using it as a business machine," he says. Eventually what came from that technology was applied toward the invention of the dictaphone. Bell's contribution to sound recording tends to be overshadowed by Thomas Edison's invention of the phonograph in 1877. That could change as the Smithsonian sorts through its cache of recordings. There may be more long-silent treasures we have yet to hear. "We have a few Berliner pieces and some Edison tinfoils, but the bulk of our collection is from the Bell collection," Stout says. "So we have plenty of things hiding in our cupboard." "This record has been made," Bell says, signing off from Washington, D.C., in 1885.